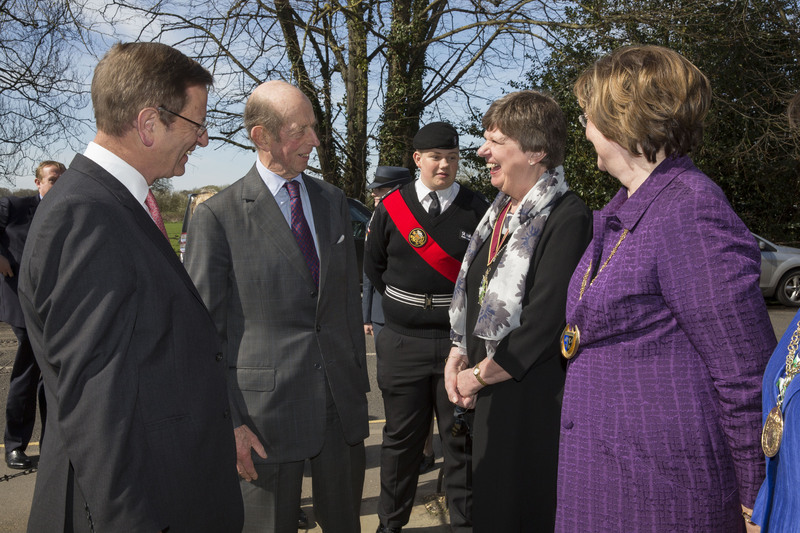 HRH The Duke of Kent was greeted by Surrey County Council Chairman Sally Marks when he opened a war memorial garden at Ripley Court School in Ripley to honour former pupils who lost their lives in battle. Around 400 pupils from schools across Surrey helped author Georgia Pritchett celebrate winning the county council’s children’s boook award. The children from 11 primaries across the county attended the ceremony after voting ‘Wilf the Mighty Worrier Saves the World‘ the best book for readers aged seven to nine. Two meetings are taking place next week to help people have their say on the fire and rescue service’s Public Safety Plan for the county. The events, which are being held during a consultation on the plan, take place between 7pm and 9pm at Guildford Fire Station (Wednesday 18 May) and Reigate Fire Station (Thursday 19 May). Further details can be found online.